2. Peel and core the pears. Slice it and place them in a bowl of salt water to prevent browning. 3. Drain the pear slices, pat dry and cover with cling wrap. 4. In a mixer, beat butter and sugar (from speed 1 and gradually to speed 4) until light and fluffy. Scrap down 1-2 times to ensure even mixing. 5. Turn to speed 2 and mix in the eggs one at a time. Scrap down as needed. 6. Add in rum and vanilla bean paste and mix well. 7. Sift flour, baking powder and soda together. Mix some of it into the batter at speed 1 follow by some milk, then add in some flour etc. Mix as little as possible. 9. 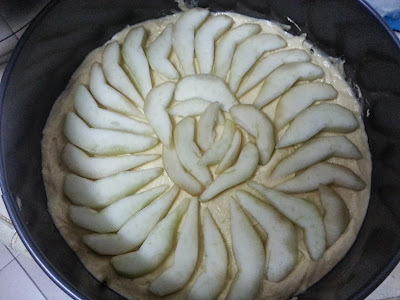 Lay half the pear slices and spread another 1/3 of the batter over it. 10. Lay the rest of the pear slices and cover with the remaining batter. 12. 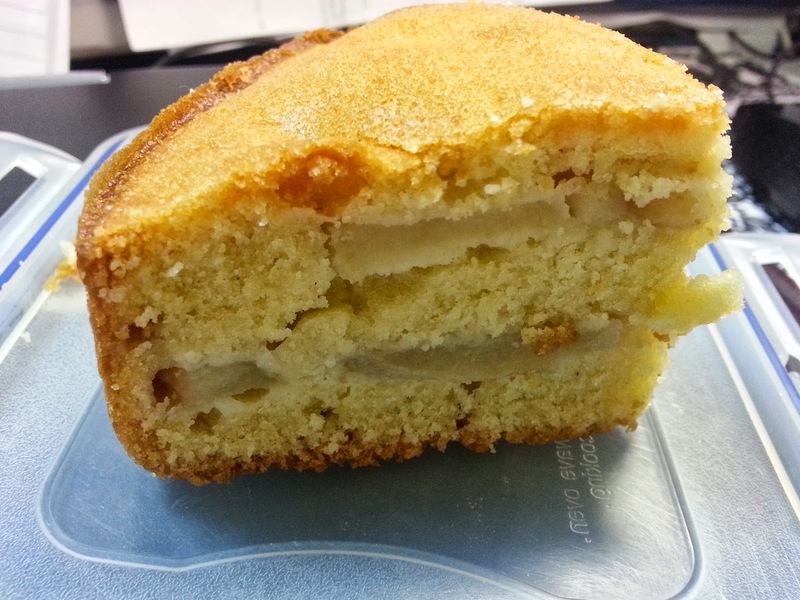 Cool cake in pan for about 5 mins and turn out onto the rack. Remove baking sheet.